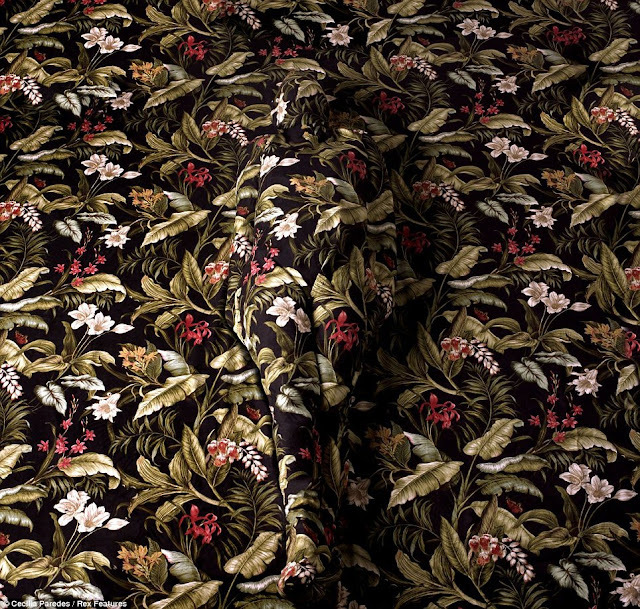 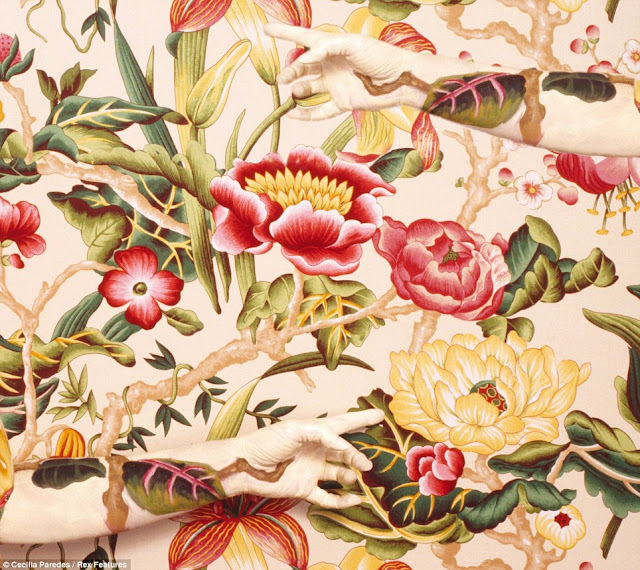 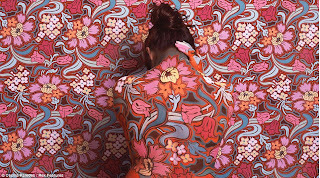 At first glance, Cecilia Paredes' artwork just looks like pictures of particularly colourful wallpaper. 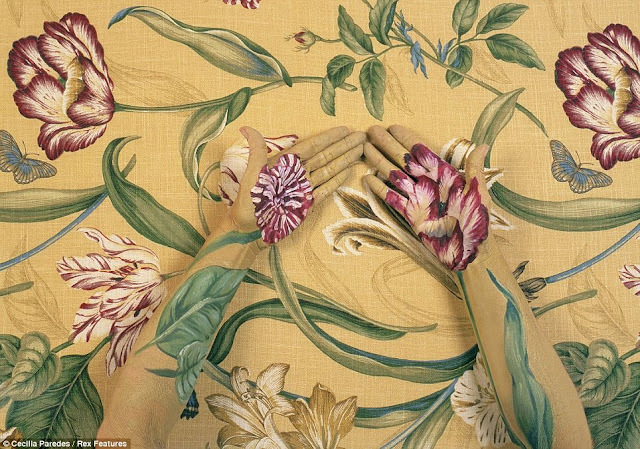 But look a little closer and the bold, floral images start to take on a human form. 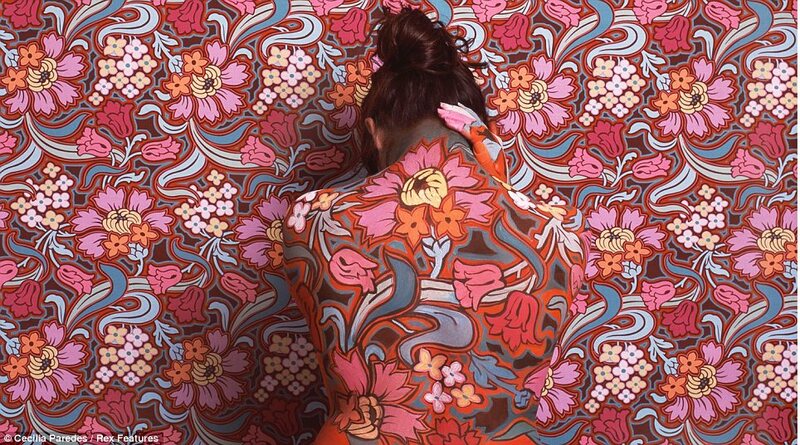 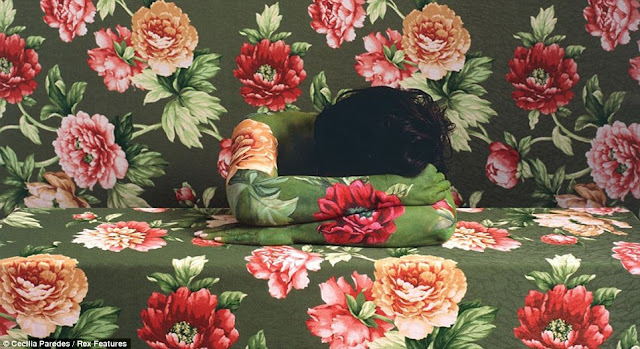 The Peruvian artist experiments with her own body by painting designs on herself to blend into various backgrounds. In the past, she has transformed herself into animals, plants or her surroundings simply by using body paint. 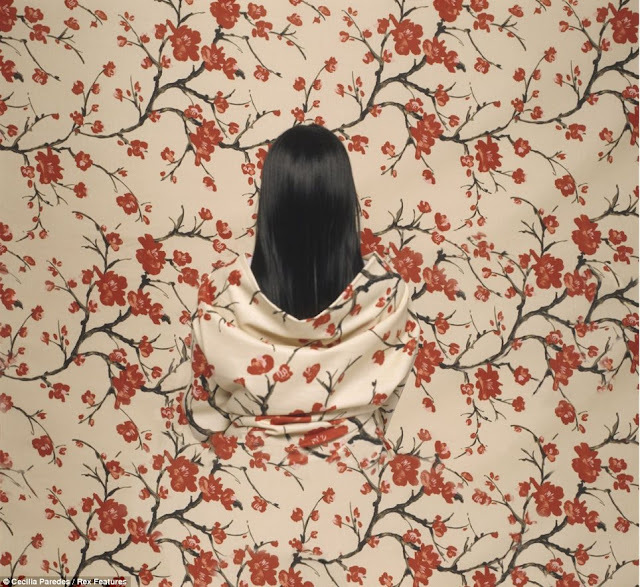 Her latest work sees her fade into the background in a series called 'Landscapes' and it has proved so popular that her website has crashed because of the volume of people wanting to get a closer look at the images. 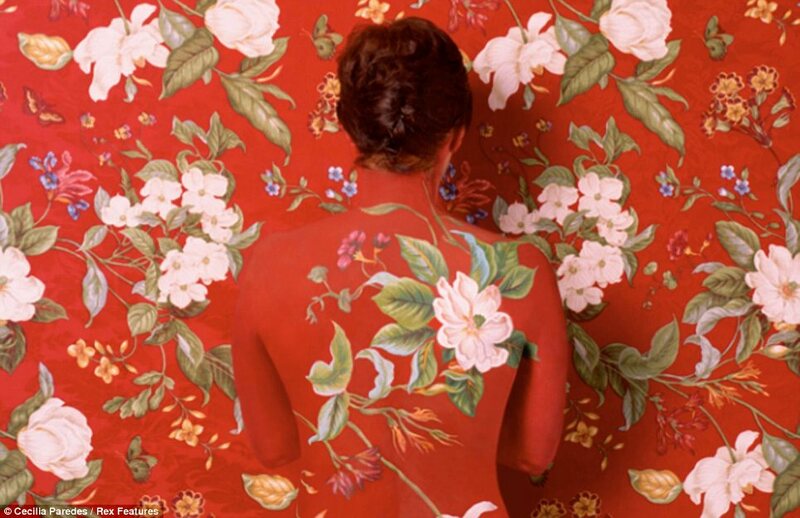 The collection shows parts of her body - mainly her back and her hands - painted in the same design as the wallpaper she is standing infront of. 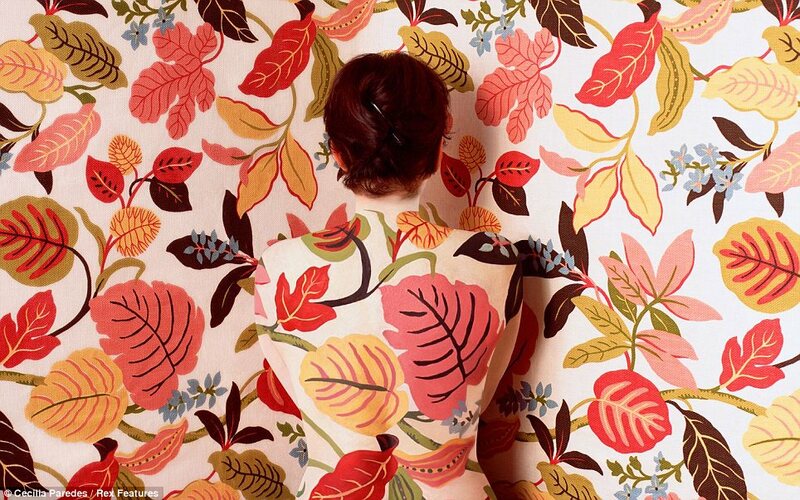 Working just like camouflage, the effect makes it hard to distinguish Ms Paredes from the wallpaper. Her hair is often the only thing that makes her form visible. Highlights from the collection of photographs see the Peruvian artist's legs and skirt blending into the yellow abstract wallpaper; her back decorated with pink flowers and painted head to toe in large leaves and lilies. 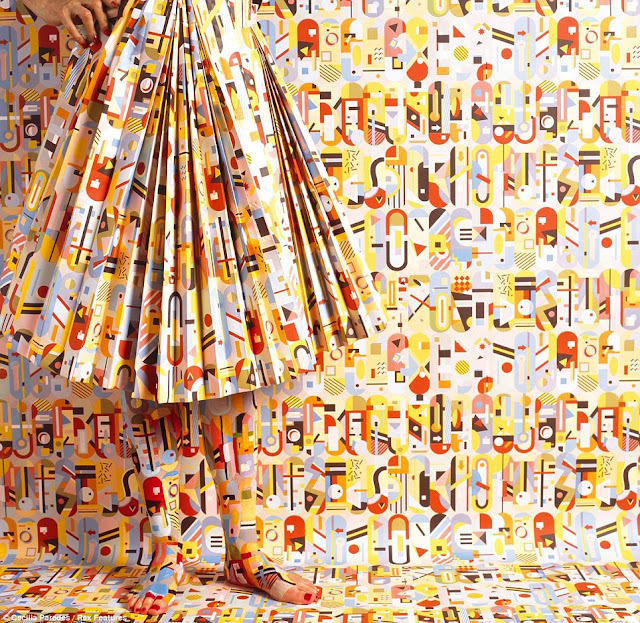 Ms Paredes, a mother-of-two who lives in Philadelphia with her husband, composer Jay Reise, said: 'I wrap, cover or paint my body with the same pattern of the material and "re-present" myself as part of the landscape.